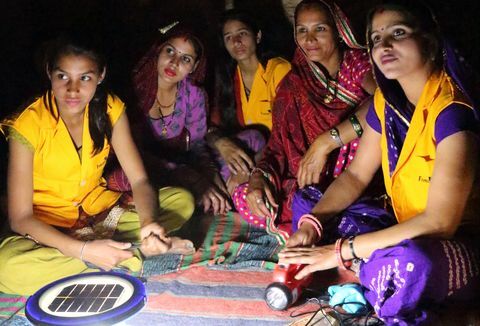 Despite rapid economic growth and uptake of consumer goods like televisions and mobile phones, most Indian women still cook with wood or dung. This is not only time-consuming: it produces health damaging smoke. Greenway Appliances was founded by two young MBA graduates in 2011 to make and sell affordable, desirable cookstoves that reduce smoke, cook more quickly and stay cleaner for longer, dramatically improving quality of life for women and girls. Designed and made in India by Greenway, by March 2014 over 120,000 Smart stoves had been sold benefitting around 610,000 people. Most wood comes from non-renewable sources, so Smart stoves cut deforestation and reduce greenhouse gas emissions by about 200,000 tonnes/year CO2e. Over 85% of rural and 65% of urban households in India cook with biomass fuel. 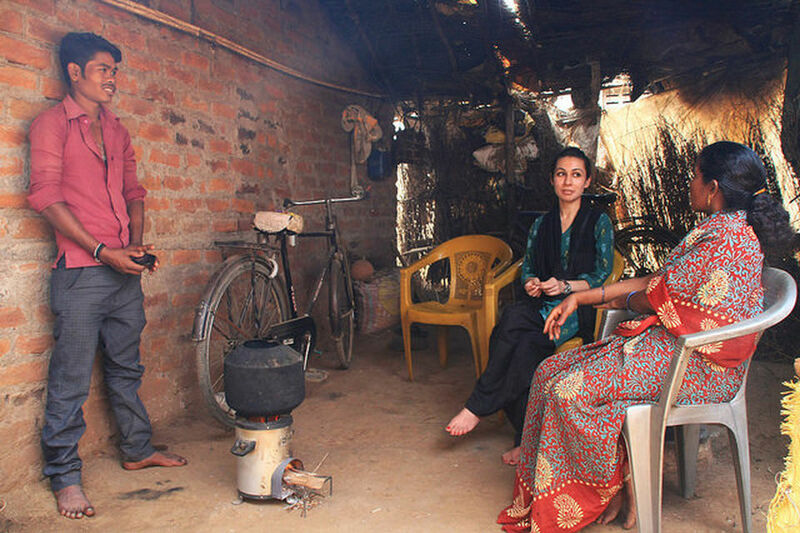 Greenway partner Grameen Koota made a formal survey of 278 users who had changed from mud stoves to Smart stoves and found high levels of user satisfaction. Regular, informal feedback to Greenway staff supports the survey findings. Staff find that a Smart stove replaces a mud stove for nearly all cooking, except for very large meals. Convenience and saving time are highly valued: the Smart stove needs less attention and total cooking time is reduced by about 30 minutes per day, benefitting mostly women. Improved cleanliness is rated highly: women appreciate that their skin and hair feel cleaner, and that their kitchens and cooking pots need less cleaning. Health benefits like less itchy throats and sore eyes are obvious to users: less obvious is the likely increase of life expectancy because of reduced smoke inhalation. Fuel wood is collected in many households, usually by women and girls, and the Smart stove saves them a further two or three hours of this laborious work each week. If wood costs typically US$0.08 per kg then a household saves around US$90 per year. This is significant since household income is typically only US$1,500 per year, and means that the purchase price of the stove is recovered through savings within 14 weeks. Some owners of gas (LPG) stoves buy Smart stoves to save money, since the government allocation of subsidised LPG does not cover all cooking needs. The different stoves suit different tasks: the LPG stove may be used to boil water quickly for morning tea, with the Smart stove used for longer cooking tasks. The Smart stove meets the BIS standards for efficiency and emissions. Testing and user feedback suggest that the Smart stove cuts wood use from an average of 7.2 to 4.2 kg/day (38%), thus saving 1.1 tonnes/year per household, or about 130,000 tonnes/year of wood for all stoves currently in use. There is huge pressure on wood resources in the Western Ghats, where most stoves are sold: the Indian Ministry of Energy and Fuel estimates that 73% of wood comes from deforestation (non-renewable sources), so Smart stoves save about 97,000 tonnes/year of non-renewable wood. This means that the stoves also cut greenhouse gas emissions, by an estimated 1.67 tonnes/year CO2 per stove (CDM methodology), or a total of 200,000 tonnes/year CO2. This estimate does not include cuts from reductions in non-CO2 greenhouse gases and particulates including black carbon. I have never seen a product like this. It has made cooking on a wood stove so much easier. There have been so many changes for the better lately, mobiles and so on, so it was high time something happened for cooking! Shyama Saroj, Jagdish Naga. The Greenway Smart stove is based on the well-known rocket design principle. This uses a ‘chimney’ within the stove, which directs air from the base through the burning wood and encourages the mixing of gases and flames above it. Precise dimensions are needed to achieve efficient burning and, thus, low emission of local pollutants, and to transfer heat efficiently to the cooking pot. The design is deliberately a compromise between user requirements, determined through testing, and performance. Higher performance (higher efficiency and lower emissions) could have been achieved using a top-loading design, but users wanted a more familiar front-loader. A taller internal chimney would give lower emissions, but would not have been comfortable for the majority of users who sit down and cook. How is the stove marketed and sold? The stove is promoted by Greenway demonstrators who work on a regional basis, attending local fairs and markets. Mass media, like regional newspapers are also used. Flyers are provided for retailers, and demonstrations made outside retail shops. Many sales are through MFIs who market through their networks, sometimes assisted by Greenway staff. Initial marketing focused on the ‘worthiness’ of the Smart stove, saving time, money and the environment. But Greenway found it was more effective to market the stove as a modern, aspirational product. For this reason, they also changed from plain cardboard boxes to attractive, colourful packaging. 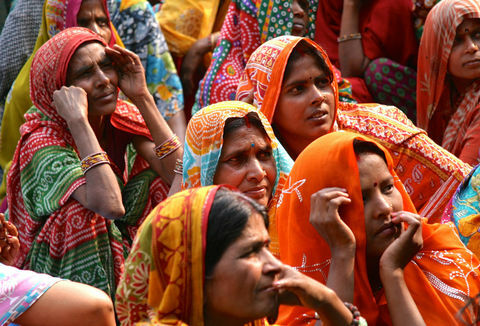 End-users buy with cash, or through microfinance loans. How is it manufactured and maintained? Greenway chose to manufacture in India rather than China (which might have been cheaper), because they want regular oversight of production quality and the ability to adapt details. The Smart stove needs no after-sales service, and is sold with a one year warranty. Based on accelerated testing, it is expected to last for five years in use. Sales started fewer than five years ago, but there have been very few returns or complaints, so the predicted lifetime seems realistic. A serial number is printed on both the stove and the packaging, so that production can be traced if problems occur. 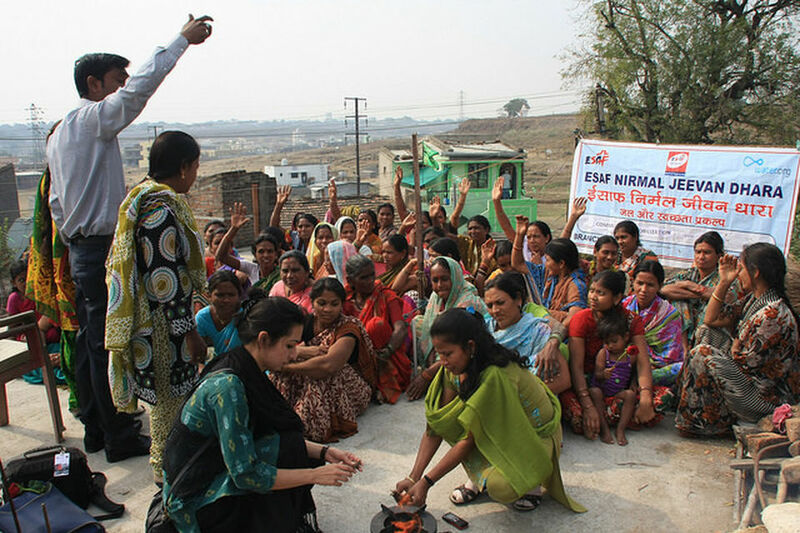 The potential market for improved stoves in India is enormous. Greenway wants to be a leader in the sector, and is investing in marketing and advertising to enhance their already strong growth. New products are also under development. A larger version of the Smart stove has been developed, in response to user demand. This already has BIS approval and will be launched commercially in June 2014. Other products including a stove with inbuilt electricity generation are also in the pipeline. Although India remains the main focus, Greenway is also exploring sales possibilities with partners in other countries.